The Kansas Sheriffs Associaton has been providing scholarships to qualified college students since 1991. The Scholarship Committee will begin excepting applications each year on February 1st with an application deadline of April 15th. KSA will award up to nine scholarships. 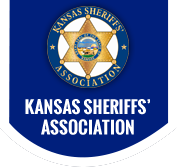 In 2005 the Kansas Sheriff's Association membership voted to establish a scholarship in the name of Sheriff Matthew Samuels. Sheriff Samuels was killed in the line of duty in 2005. The Samuels scholarship recipient will be selected from the regular applications. This special award will be for $2000.00. Up to fifteen other scholarships will be awarded for $1000.00 each. The scholarship recipient may major in or pursue any course or field of study he or she chooses. The applicant may be a graduating high school senior, a recent high school graduate, a not-so-recent high school graduate, or a college student at the undergraduate or graduate level. The recipient must be a full-time student at the undergraduate or graduate level, taking at least 12 hours of college credit upon enrollment and must be related to a member in good standing of the Kansas Sheriffs Association. The relationship to the member of KSA must be a spouse, the children of the member or the grandchildren of the member. Regular Members may also apply. Each scholarship must be used at an accredited two year or four year college or university. Applications must be on the approved form (see application). Applications will not be accepted without an essay. Application must contain a recent photograph of the applicant. Applications will not be accepted if received or postmarked after April 15. A panel will conduct oral interviews for approximately 15 minutes per applicant in Salina, Kansas. All interviews will be conducted during the first FULL week of June.